Patents offer a window into corporate strategies. They are one of the few ways to tie a clear number to innovation, and not to mention an important metric to show to investors. Last year, more than 308,000 patents were granted in the United States, and some companies maxed out their efforts with thousands of receipts a piece, according to IFI CLAIMS Patent Services. Each business has its own patent agenda. Look at the patent applications of a company like Walmart and patents focusing on autonomous deliveries abound. Checks out for the world's biggest retailer. Hop over to Spotify and see systems for personalizing the customer experiences based off every imaginable characteristic — from personality and diversity to nostalgia. And how else would Facebook's attempt to patent a system for social dating or IBM's attempt to cinch out-of-office e-mail messages become public knowledge? Sure, tech companies are working on plenty of "useful" technologies like techniques to assess whether access of active data is authorized or improving reliable Wi-Fi data connectivity (the world sees you, Apple, and it's still waiting). Companies, even ones as big as Google and Microsoft, have finite resources and time that can be allocated to patents. They have to carefully pick which ones are going to make the cut, and sometimes the final results can be surprising. IBM is the patent leader in the U.S., earning 9,100 patent grants in 2018 alone. Banking its future on nascent technologies such as AI, blockchain and quantum computing, IBM has an aggressive patent strategy to protect innovations in these fields — though some experts are nervous of how emerging technologies will be handled by the patent office. Some might say quality is better than quantity, but they clearly haven't seen one of IBM's recent innovations — a patent for "drone delivery of coffee based on a cognitive state of an individual." Personal profiles, calendar information and sleep cycle data can be pulled in to identify when a person needs a caffeinated drink. IBM filed a patent to deliver coffee by drones. Individual 400C is very excited by his delivery. It might sound like a spilled hot liquid lawsuit waiting to happen, but if it keeps workers plugging away instead of succumbing to the post-lunch slump, who can blame them? The real question lies in if the drone brings cream and sugar along. Spotify's business model is grounded on a personalized media experiences, and a patent list filled with techniques for harnessing personal information for content curation is expected. What is unusual, however, is the music streaming company's attempted foray into parking. Spotify wants to help users find the best parking place without interrupting the music. 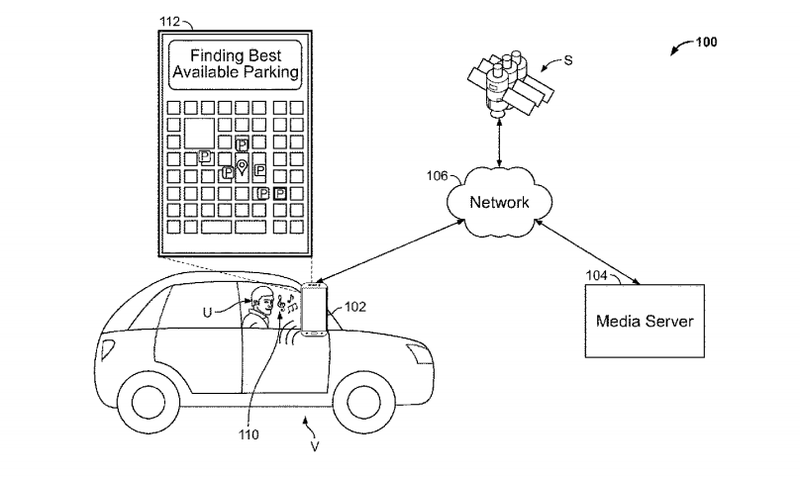 Spotify filed a patent for parking suggestions in late 2017, detailing a system to help drivers navigate a vehicle to a parking area, determine the best parking space and route the vehicle to that space — and "providing media content in the vehicle during navigation to the best available parking space." In other words, you can't pause the jams for a second, not even for parking. Walmart raised a few eyebrows last year with an application for an employee surveillance system — coyly marketed as "listening to the frontend" — that receives audio and other data from shopping facilities to establish employee performance metrics. Who needs an overly nosy manager when a store filled with invisible sensors can do it better? Alongside its pursuit to beat out Amazon and conquer the American retail landscape, Walmart is also working for the greater good and America's underappreciated new parent population. Walmart applied for patents to listen to and monitor employees to establish performance metrics. 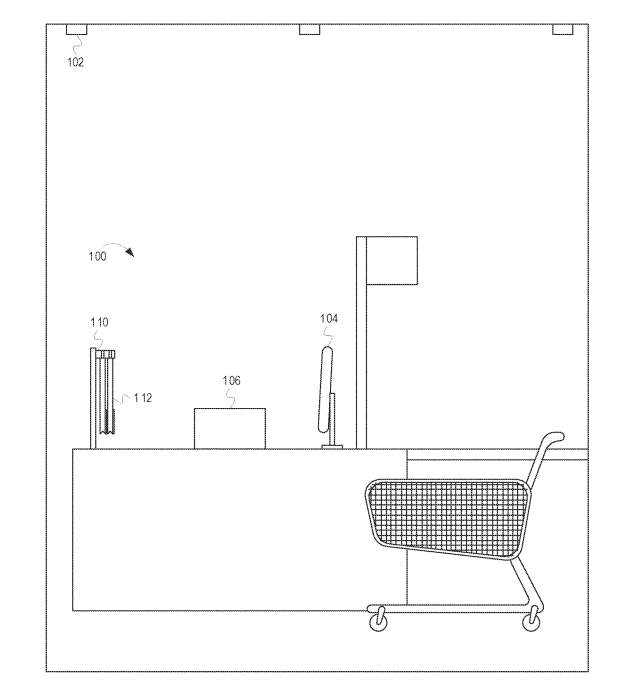 The company filed a "shopping party locator systems and methods" patent that stores a photo of customers as they enter the store (don't forget to say "cheese!") and labels them. If one member is separated and needs to be found, the store can alert associates and customers to look out for the lost person, and their label can help verify their identity once found. Remember kids, big brother is always watching, whether you're a shopper or employee. The convenience Amazon brought consumers has them demanding even more, and the online retailer is eyeing public transportation to get the job done. 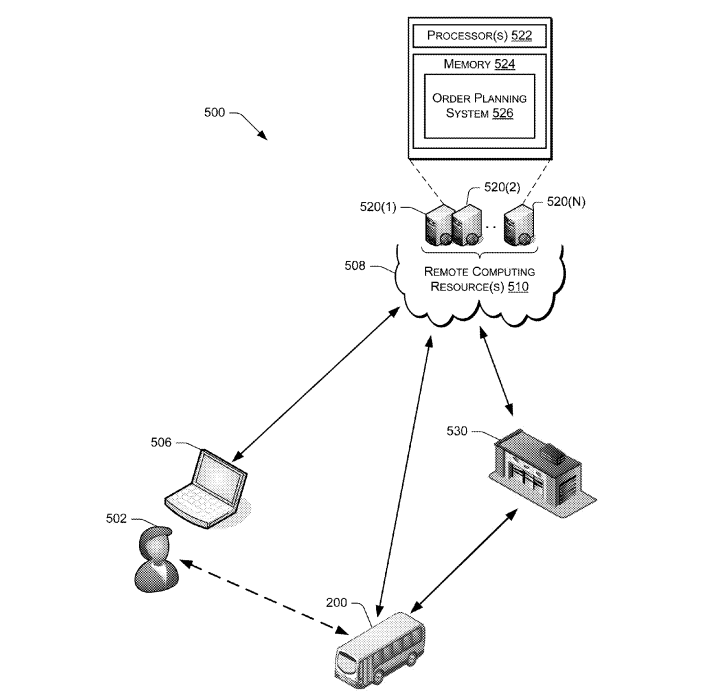 A patent filed earlier this week by the company for "mobile pickup locations" identifies public buses as a courier to bring packages to a convenient pickup location selected by users. A notification, such as a text message, can alert customers their item is fast approaching so they can pick it up. Everybody has run after a bus to catch it and make it to work on time. Now customers could be doing the same for packages. It's a step less weird than having delivery persons enter homes or cars, and hey, if it helps fun struggling public transportation, what's not to like? Amazon, like Walmart, is also looking out for the kids. Amazon's late 2016 patent for "controlling access to digital items based on a user's time outside" allows a "primary account user" (read: parent) to establish weather constraints on access to digital items. So when it's sunny and nice outside, the "secondary account user" (read: digitally addicted child) can't use the screens and has to go outside and play. It takes a lot of data centers to keep the No. 2 cloud provider running, and Microsoft is looking for ways to save on energy and costs. The company has patent applications for submerged and artificial reef data centers. Data centers require massive amounts of energy to keep the hardware cool and functioning, and by submerging it to the bottom of the ocean the company is looking to cut on energy needs and eliminate external disruptors. Microsoft is sinking datacenters to the ocean floor. Mermaids need the cloud too, right? The Project Natick experiment is already in its second phase; Microsoft sunk hardware off the coast of Scotland last June for a year-long test. The biggest dangers? Whatever havoc sea creatures can wreak. Whoever thought seals were nice should think twice. The fun patents are often hidden behind boring names, but sometimes a company surprises us. 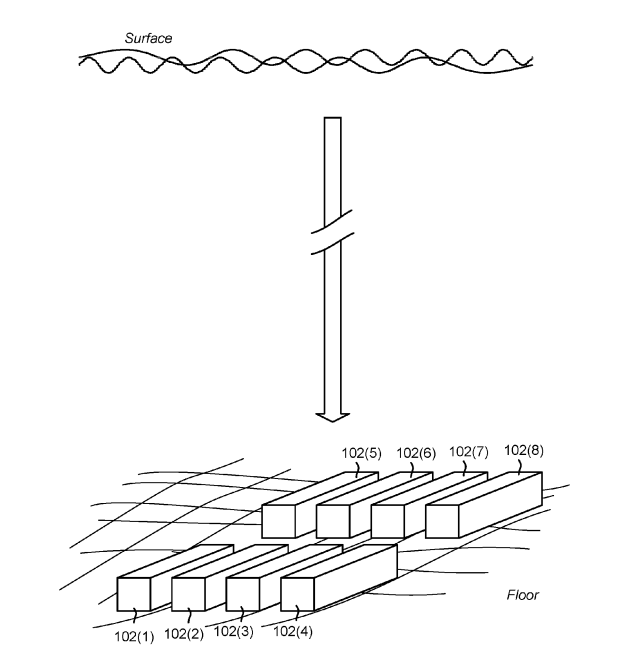 Intel delivered with its patent applications for ping pong beamforming and shared keeper and footer flip-flop. What those technologies do, who knows? But they sure are fun to say.